RUSH: Here’s A.J. in Washington. You’re next. Great to have you on the program. Hello. CALLER: Rush, thanks for taking my call. You’re a great American, sir. I wanted to discuss with you how the reparations movement itself is gonna shape the 2020 election. CALLER: Now, I can remember not too — I work retail, so I listen to you as much as I can — I can remember one time, maybe a couple years ago you said specifically that the 2020 election and Trump’s reelection will be determined by the lack of black support for Democrats. And I feel that that’s really shaping up as you said because the reparations movement is really grassroots. 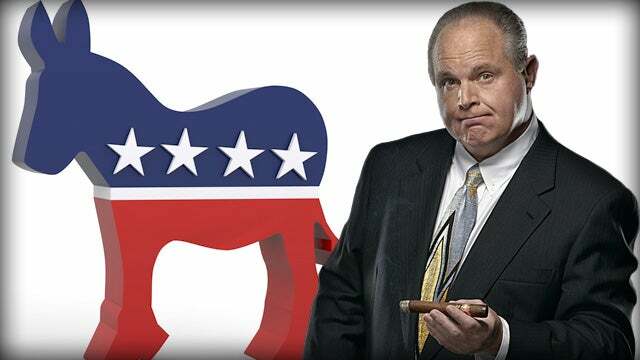 RUSH: Well, let me tell you something. You are on to something here. I’m out of time, but I’m glad you brought this up because it is the reason the Democrats are making this big push on reparations that’s interesting. Hang on. RUSH: We had a previous caller talking about the reparations business. Do you know why all of a sudden these whippersnapper Democrat presidential candidates are all out-promising each other on reparations? I think — and I’m sure just like my explanation of the Brits having it in for Trump because of NATO dating back to 2016, there are gonna be people who disagree with me about this, and there will be people disagree with me on reparations thing here. I think these people are not blind. They may be fools, but they can see that African-American unemployment is at its lowest point in history under a Republican president they all hate. They can see that the economy is going gangbusters. They know that there are more people looking for jobs than there are jobs, things that don’t happen when they have the presidency. They know that this country’s economy is on an upswing and it’s pretty strong. But the important numbers are the minority unemployment numbers. African-American and Hispanic unemployment is at an all-time low. And they’re smart enough to realize that African-Americans, at some point, are gonna realize that this happened not when a Democrat’s in the White House but when a Republican’s in the White House. I think demanding reparations — ’cause I don’t think they mean it. I think they’re just saying it. I think this is what they’ve been driven to saying as a last-ditch effort not to lose a significant portion of the minority vote to Donald Trump in 2020, and I think it’s ultimately an insult. I think what they’re ultimately saying is: “Vote for us; we’ll give you even more. “Vote for us, and we’ll make you even bigger wards of the state. Vote for us, and we’ll pay you even more than we’ve been promising.” This is all they’ve got! They can’t promise to improve the economy. In fact, they’re out there announcing policies they’re gonna suppress and slow down the economy: Welfare for all, Medicare for all, reparations for everybody, overturning the American founding. Green New Deal? So the Democrats have been reduced to the essence of their existence, Santa Claus. This is what they’ve got. “We’ll give you! We’ll give you this, we’ll give you that, we’ll make sure you have stuff,” and that is an attempt to purchase votes because they can’t (or don’t feel confident that they can) win votes on the basis of policy substance.